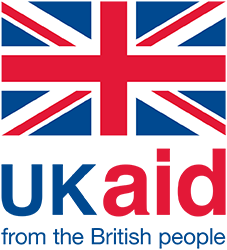 Kepsteono Rotwo Tipin (KRT) has been working with the Pokot community in Kenya to end FGM by introducing alternative rite of passage for girls. Over 300 girls have escaped the cut through participating in the alternative rite of passage. The ceremonies were inclusive and educational. Family members were encouraged to participate in activities and learn more about the impact of FGM on the girls. ‘Let us sharpen the minds of our children instead of cutting their bodies’, the Catholic priest convening the alternative rite of passage said during the graduation ceremony in South Pokot sub-county. In Kenya, the Pokot community located in the northern part of the country is one of those that practice female genital mutilation (FGM). In this community, the cut is performed on girls aged 10 to 17. If a girl was to become pregnant before 10 years of age, she would also subjected to the cut. According to the community, FGM is believed to be an important rite of passage that marks the transition from childhood to adulthood. The members of Kepsteono Rotwo Tipin (KRT), a community based organisation, came up with an alternative rite of passage for the girls in 2016 as a strategy to end FGM in the region. 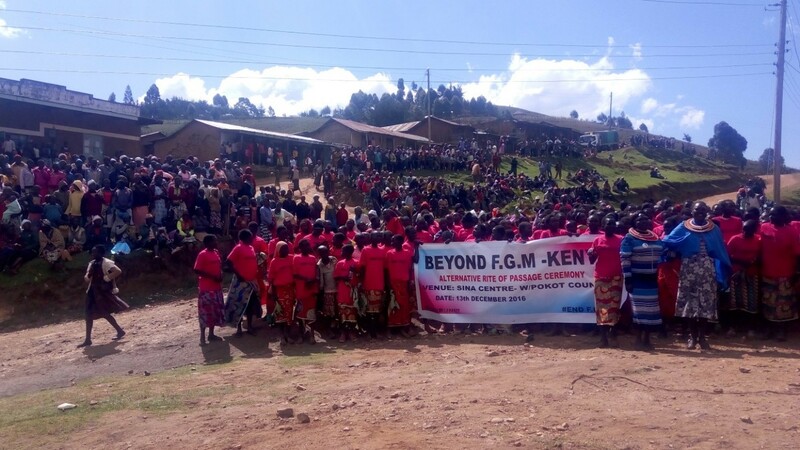 With support from The Girl Generation’s End FGM Grassroots Fund, KRT organised two alternative rites of passage ceremonies in two sub-counties of Pokot County. One of the powerful impacts of the two ceremonies was that, for the first time, girls understood what FGM entails and the negative effects it had on their bodies. The ceremonies were also successful in changing the mindset amongst the community. Family members were able to participate during the ceremonies and learn more about the impacts FGM has on girls and women. The first ceremony took place in August 2016 in Central Pokot sub-county with 167 girls taking part. The second ceremony took place in December 2016 in South Pokot sub-county and 261 girls were involved. The alternative rite of passage included all the processes the Pokot community would usually follow during FGM, except for the cut itself. Women and men were encouraged to participate because they would later be the ones responsible for protecting the girls once they went back to the community. The ceremony was also used to sensitize all the groups on the dangers of FGM and to explain why it is not a worthwhile rite of passage. Separately, the girls were exposed to the reality of FGM as many lack prior knowledge of what it entails or its effects until they have gone through the traumatic experience. The facilitators used models, videos and interactive discussions both in class and groups for effective delivery of the information. FGM survivors also shared their stories of the negative effects they suffered after going through the cut. Traditional and religious leaders were involved to educate the girls on morals and values of the community. The elders, being custodians of culture, were also part of the ceremony because once they understood the effects of FGM, they could easily use their power to end the practice. At the graduation of the alternative rite of passage, the elders were invited to bless the girls, declare their stand against FGM and commitment to protect the girls. Equipping parents with the right information enables them to make the right decisions for their children such as choosing the alternative rite of passage over the traditional one. Parents were involved in both ceremonies, as they are a key part of the journey towards ending the retrogressive practice. Unless they realise the dangers of FGM, many continue doing it in the name of culture. Equipping parents with the right information enables them to make the right decisions for their children such as choosing the alternative rite of passage over the traditional one. The ceremony ended positively with parents and graduates singing songs against FGM together in unity. The two ceremonies prevented over 300 girls from going through the cut, and subsequently prevented girls from being forced into early marriages as is the custom in the Pokot community. Many of them went back to continue with their education. The parents and boys understood the kind of harm FGM subjected girls to. The success of the Pokot alternative rite of passage provides us with hope that FGM will soon be replaced in other neighbouring counties with a rite of passage that focuses on empowering girls rather than harming them. The success of the two ceremonies was unexpected at the beginning as it was assumed that the Pokot community might be resistant to change. However, in both instances people turned out in large numbers to learn, participate and support this new rite of passage for their daughters. Parents allowed their daughters to take part in the ceremony without any resistance. The fact that the community accepted the alternative rite of passage is a promising indicator to the possibility of ending FGM in one generation among the Pokot. This positive experience with the Pokot community is quite interesting and relevant for other end FGM interventions. In the neighbouring Maasai, community elders have been adamant that they can only drop the practice when an alternative rite of passage is provided. The success of the Pokot alternative rite of passage provides us with hope that FGM will soon be replaced in other neighbouring counties with a rite of passage that focuses on empowering girls rather than harming them.